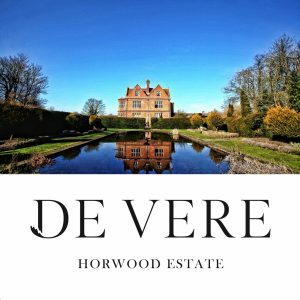 Horwood Estate is a spectacular wedding venue situated in 38 acres of stunning landscaped gardens in a romantic countryside setting near Milton Keynes. Dressed in ivy, this charming country house has a rich history that reaches back to the 16th century. The long winding drive sets the atmosphere for this romantic venue, and coupled with the manicured lawns, lily pond and beautiful pagoda offers a variety of options for your celebrations. 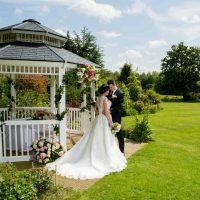 For a dreamy outdoor wedding, the gorgeous shabby chic pagoda and stunning grounds provide a setting for up to 250 guests. Catering for up to 90 guests the Manor Lounge boasts original features and both library and bar areas. 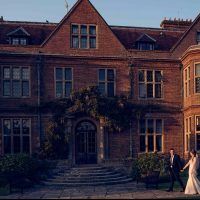 With access to the picturesque grounds, it offers versatility for smaller ceremonies as well as arrival drinks. 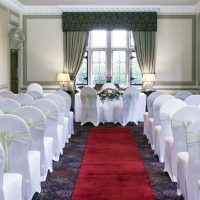 For larger ceremonies of up to 120 guests the Eyre Suite is beautifully lit with natural light and offers access to the patio and gardens. For more private and intimate celebrations, the Cook Suite features its own private lounge and bar area and is located on the far side of the house. It provides banquet space for up to 200 guests, and up to 250 for an informal event. With an in-house treatment room, a wide range of therapies and treatments are available courtesy of Yvonne Clifford Therapies. 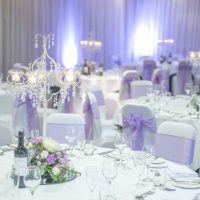 Perfect for a final polish prior to the wedding or as a way to unwind following the excitement of the big day, they offer; massages, facials, tanning, manicures and pedicures. The team of experienced caterers works with each couple to create delicious menus to suit their dietary needs and special requirements. Using seasonal and local produce they are recognised with a Silver Eat Out Eat Well Award. To discuss your needs please call 01296 722100 or use the online enquiry form.